The best indoor range experience I have ever had. I have shot on ranges across the country and this has been by far the best. The staff is courteous and knowledgeable. You can have fun and be safe unlike many other ranges. Give it a try. I was looking for a gift for the hunter(s) in the family for a birthday. Heard the ad about this new business opening up and thought a membership would be perfect. Whipped out the Visa and got 30% off new memberships BEFORE I checked in with said family member. Ends up he goes almost every weekend to a friend’s farm for practice. With encroaching developments everywhere, those days may be ending but a gift’s a gift and so I moved on. Why I gave 5 stars has to do with two things. I called after I found out the bad news of being birthday gift rejected and got a one ring answer directly from Bryan, one of the owners, who said “no problem” and the full amount of the transaction showed up the next day, thanks to Jackie. Even before they are open (early 2015), they are treating customers in a timely, courteous and professional manner. Wish this happened in more places. I’m guessing they’ve been swamped with business so one membership down really won’t matter. On the other hand, my birthday’s coming up soon anyway. So today I revisited an up-and-coming shooting range in Lakewood, Colorado. Those who know me personally are aware that I never put my personal stamp of approval on anything, so this post is indicative of the magnitude of the awesomeness of what I see so far. 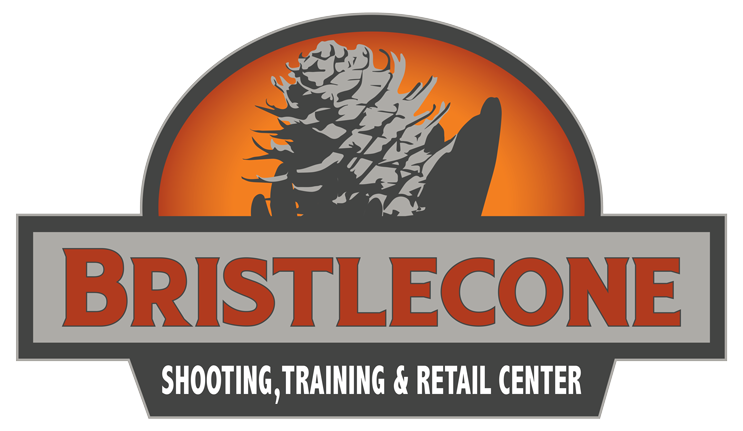 Bristlecone Shooting, Training and Retail Center aims to fix all that. They are currently in mid-construction, and look to open in mid-January. Despite the fact that opening is three months off, charter memberships are already available (at 30% discount for a limited time), and the showroom is open, so visitors can see the construction as it happens. So far, it’s still pretty bare, but most of the wall struts are up, and the block walls around the shooting lanes are up. When it’s done, it will have two class rooms, a virtual training system (shooting with SIRT systems at a reactive screen), a members-only lounge, a retail center, on-site armorer, rental counter, standard shooting lanes, and reactive shooting lanes where one can do forward-of-the-line drills along with moving targets. I met Bryan and Jacquelyn Clark, the owners/founders, and they are really cool to talk to. My wife met them for the first time today (I met Bryan two weeks ago), and had a ton of questions. Jacquelyn spent a lot of time answering our questions, showing us the virtual training system, the construction site, even the early stages of the installation of the ventilation system. So how are they addressing the above issues? They are building a top-of-the-line ventilation system, which is probably the single most expensive item in the whole facility. While they don’t expect to be the least expensive, they aim to be competitive with other ranges and suppliers in the area. Prices aren’t locked in for ammunition, and rentals, the rough figures are at or below most (but not all) other ranges in the area. They’re also located in Lakewood, CO. not even a full mile from my house. A virtual training system, will allow people to train firearms fundamentals with a SIRT gun and a reactive screen. This allows up to two shooters to do steel target duel competitions, or Wild West draws, or just simple target shooting – all without spending a dime on ammunition. They will soon also have a laser system that works with real-steel firearms, so customers can use the virtual system with a gun that has recoil, etc. But the single thing that’s really got me excited are the range lanes. 14 lanes are being constructed – six as standard ranges, allowing for handguns and shooters from ages 10 to Grave. The other eight lanes are allowing forward-of-the-line shooting, rotating targets (for quick identification of friend or foe), adjustable lighting for low-light training, and a “running-man” target in the back. They’re also using a high-tech backstop made of a form of rubber, which is what allows firing to be done with some lateral movement. It’s not going to be a full IDPA stage, but it’s still way more than merely shooting at a silhouette target. I signed up as a charter member already. I got a military discount, which saved me a few bucks. The same discount applies to law enforcement, first responders, and seniors. Oh, and that includes former varieties of the above. Unlike most other businesses, one doesn’t have to have retired from the military or police department to take advantage of this discount. Which is why my “measly” eight years in the Army worked for the discount. And it’s what’s making it possible to do this. Can’t give a glowing review without explaining at least one thing I don’t like. See, I’m not just a CHP holder – I also like to carry openly in many places. But for those who can only open carry (by choice or circumstance), you’ll have to bring your firearm into the facility in a case. I understand Bryan and Jacquelyn’s reasons for not permitting it, but it’s just one thing that I would have preferred gone another way. Still, it obviously wasn’t enough to stop me from signing up. Visit the facility, and check it out. Or check them out on Facebook, or check them out on Twitter, @BConeShooting. Also, their entire lot of time-lapse construction videos have been posted to their YouTube Channel.